Workers of color make up less than one-fifth (19 percent) of Missouri’s total workforce, but comprise more than one-quarter (26 percent) of all workers who would benefit (directly or indirectly) from a $12 minimum wage (Table 1). Looking at each racial or ethnic group separately, EPI’s analysis shows that, workers of color would benefit disproportionately, compared to white workers (Table 1). This is likely because workers of color are overrepresented in the low-wage workforce. Although women comprise half of the state’s workforce, they make up a majority (61 percent) of all workers who would be affected by a $12 minimum wage (Table 2). In fact, nearly one in three working women in Missouri (29 percent) would be affected by the higher wage, compared with less than one in five working men (19 percent). Black women in Missouri, in particular, would benefit from a $12 minimum wage—both in terms of the percentage of workers affected, as well as additional wages earned. Approximately 36 percent of Black women workers in the state would benefit (directly and indirectly) from a $12 minimum wage, compared with 27 percent of white women workers and 17 percent of white men. (Gender-based estimates are not available for Hispanic, Asian, or other workers). In dollar terms, the average worker directly affected by raising Missouri’s minimum wage to $12 would receive an additional $2,400 dollars in annual income by 2023 while the average Black woman directly affected would see her annual pay rise by $2,600 dollars. The over-representation of workers of color at the lowest wage levels has contributed to a large and pernicious racial pay gap in Missouri. In 2017 dollars, white workers in Missouri earn a median hourly wage of $17.56, while the median wage for Black workers is $14.28 (19 percent less than white workers). The pay gap for Hispanic workers is even wider: Their median wage is just $13.36 (24 percent lower than white workers) (Table 3). The gender wage gap in the state is similarly worrisome. In 2017 dollars, men’s median wage is $19.16 while the median wage for women is $15.28, or 20 percent lower (Table 3). Unsurprisingly, poverty rates follow a similar pattern, with higher rates for women and people of color, compared with men and white Missourians. In fact, the current poverty rate of Black (24.9 percent) and Hispanic (24.1 percent) individuals is more than twice the poverty rate of white individuals (11.5 percent) in Missouri (Table 3). Measures of household wealth also follow this pattern, with white Missourians owning their homes at a higher rate (72.1 percent) than people of color (39.7 to 52.7 percent). (Table 3). The economic disadvantages that women and people of color experience contribute to lower economic security and astonishing race-based discrepancies in net worth. According to national data, the median net worth of white households ($171,000) is almost ten times higher than of Black households ($17,600) and eight times higher than Hispanic households ($20,700). (Table 3). While increasing the minimum wage to $12 per hour cannot, alone, close racial and gender pay gaps in Missouri or elsewhere—or substantially increase the net wealth of families—it would directly increase the incomes of significant numbers of women, as well as Black and Hispanic workers and other workers of color in the state. This would bring working women and workers of color closer to economic security, giving them and their families a better chance of reducing the racial and gender wealth gap over time. Source: Economic Policy Institute analysis of American Community Survey (2016), CBO Economic Projections (June 2017). Figures may not add up to 100 percent due to rounding. Source: Economic Policy Institute analysis of American Community Survey (2016), CBO Economic Projections (June 2017).Race by gender estimates do not add up to 100 percent due to the exclusion of Latino, Asian and other racial or ethnic categories. These workers make up too small a share of the total workforce to allow for reliable gender breakdowns. Sources: EPI estimates of Current Population Survey Outgoing Rotation Group microdata; NELP estimates of 2011-2015 American Community Survey 5-Year Estimates and 2016 American Community Survey 1-Year Estimates; and U.S. Census Bureau, Survey of Income and Program Participation, 2014 Panel, Wave 1.
. Economic Policy Institute (EPI) analysis of Current Population Survey Outgoing Rotation Group microdata (2016), and CBO Economic Projections (June 2017).
. EPI analysis, op. cit.
. NELP analysis of EPI estimates, ibid.
. David Cooper, “Workers of Color are Far More Likely to be Paid Poverty-Level Wages than White Workers,” Working Economics Blog, June 21, 2018, https://www.epi.org/blog/workers-of-color-are-far-more-likely-to-be-paid-poverty-level-wages-than-white-workers/.
. Valerie Wilson & Julia Wolfe, Economic Policy Institute, Black workers in right-to-work (RTW) states tend to have lower wages than in Missouri and other non-RTW states (May 15, 2018), https://www.epi.org/publication/black-workers-in-right-to-work-rtw-states-tend-to-have-lower-wages-than-in-missouri-and-other-non-rtw-states/.
. Lisa J. Dettling et al., Board of Governors of the Federal Reserve System, Recent Trends in Wealth-Holding by Race and Ethnicity: Evidence from the Survey of Consumer Finances (Sept. 27, 2017), https://www.federalreserve.gov/econres/notes/feds-notes/recent-trends-in-wealth-holding-by-race-and-ethnicity-evidence-from-the-survey-of-consumer-finances-20170927.htm.
. EPI analysis of Current Population Survey Outgoing Rotation Group microdata from the U.S. Census Bureau. See Valerie Wilson & Julia Wolfe, Economic Policy Institute, Black workers in right-to-work (RTW) states tend to have lower wages than in Missouri and other non-RTW states (May 15, 2018), https://www.epi.org/publication/black-workers-in-right-to-work-rtw-states-tend-to-have-lower-wages-than-in-missouri-and-other-non-rtw-states/.
. NELP estimates of U.S. Census Bureau, 2016 American Community Survey 1-Year Estimates (Tables S0201 and S1701). White, Black and Other refer to non-Hispanic individuals.
. Homeownership rates by race are NELP estimates of U.S. Census Bureau, 2011-2015 American Community Survey 5-Year Estimates (Table B25003). 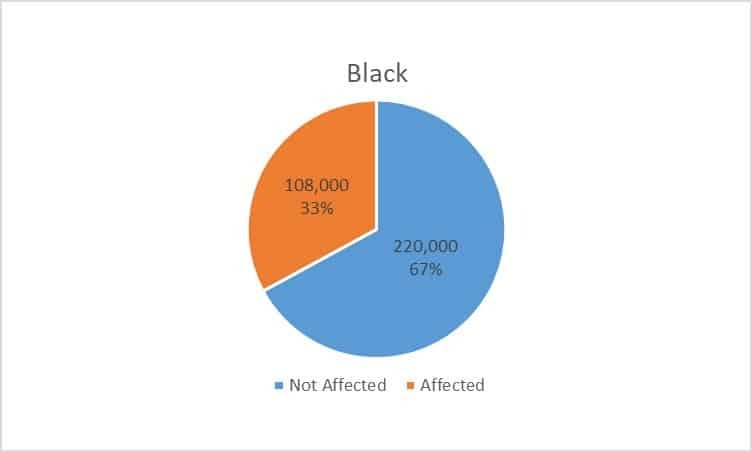 White, Black and Other refer to non-Hispanic individuals.
. NELP estimates of U.S. Census Bureau, 2016 American Community Survey 1-Year Estimates (Table S0201). 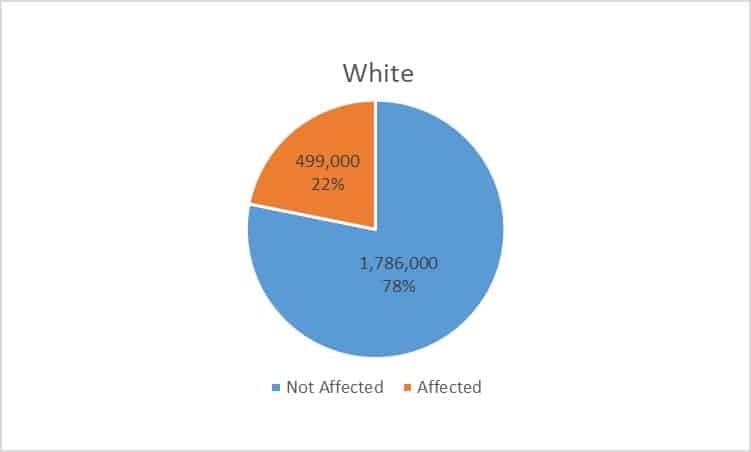 White, Black and Other refer to non-Hispanic individuals.
. Lisa J. Dettling et al., Op. Cit.